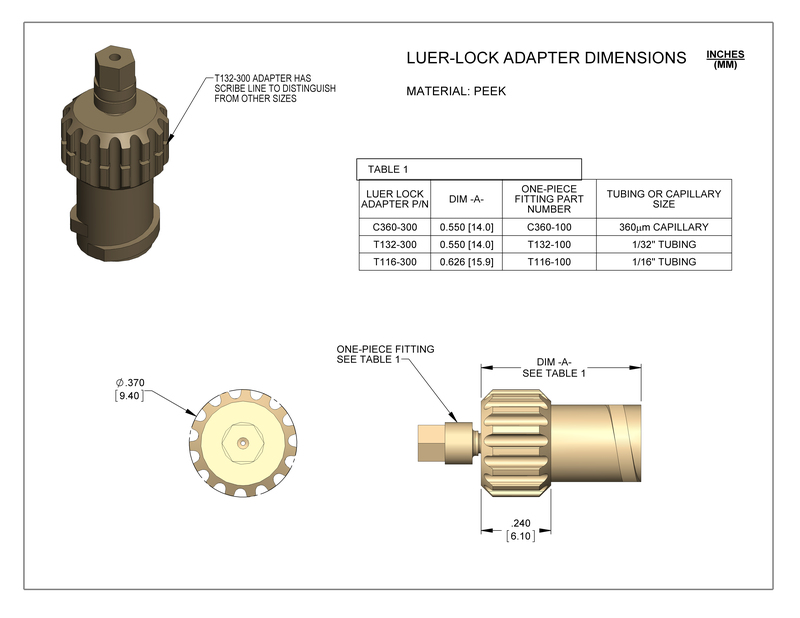 PEEK™ female fitting for connecting Luer Lock syringe to capillary or tubing. Available for use with 360um capillary (C360-300/A), 1/32" tubing (T132-300/A), or 1/16" tubing (T116-300/A) (view drawing). Part numbers ending in 'A' include a one-piece fitting for attachment to tubing.